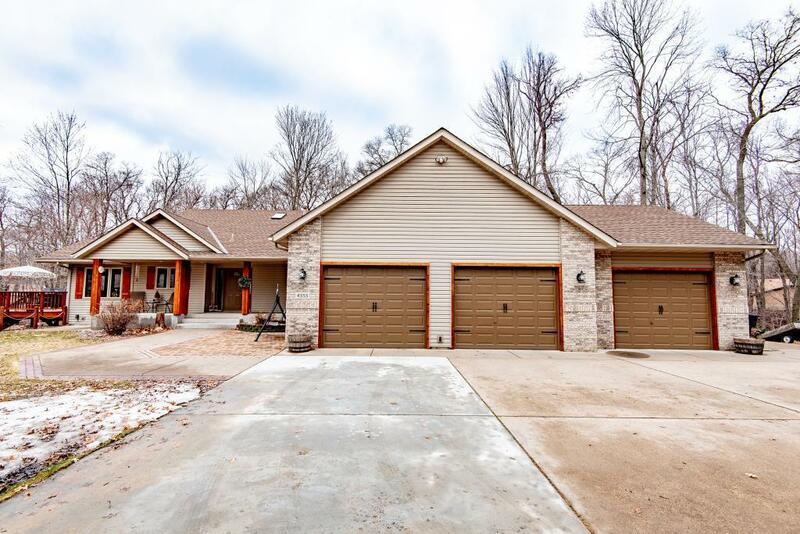 Beautiful home on secluded 5+ acre lot adjoining State Land. Vaulted ceilings, granite, updated, beautiful master bath, walkin closet. Attached 3 car, heated, extra deep garage. Room for a pole barn. Bow hunting allowed on property. Shot gun hunting allowed on State land.